Now! On to the new release! 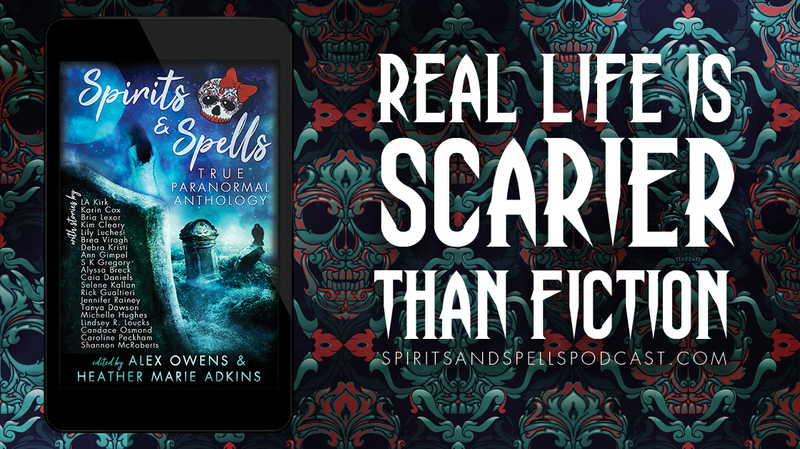 Step beyond the veil with twenty-one spooky tales of TRUE supernatural encounters by some of today’s hottest paranormal authors. Between these pages, you’ll witness a pair of disembodied legs cross the street and wake up beside ghostly felines; you’ll experience visits from deceased family members and be haunted by terrifying shadow people.